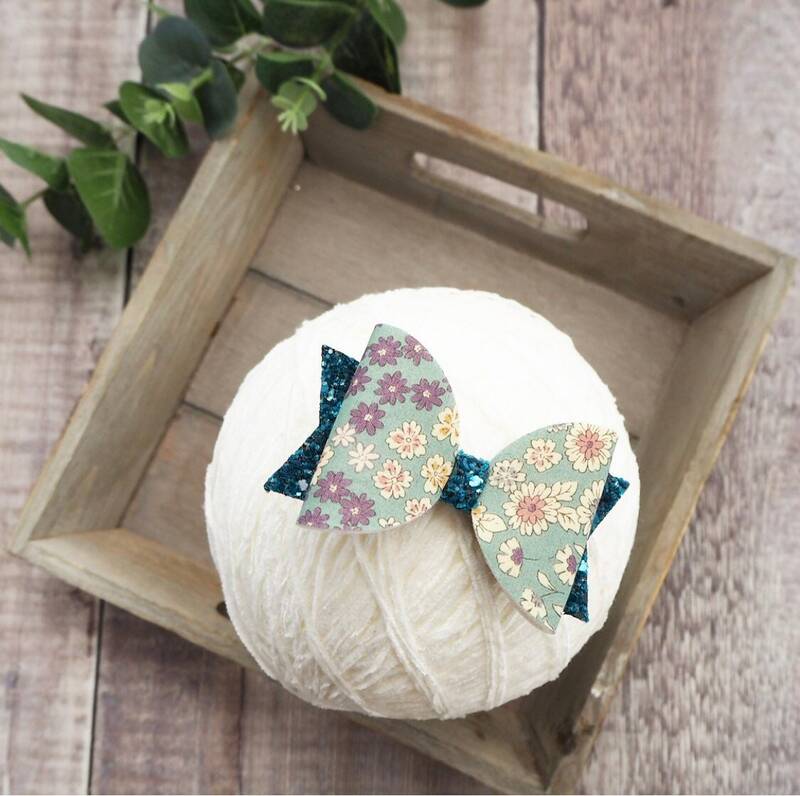 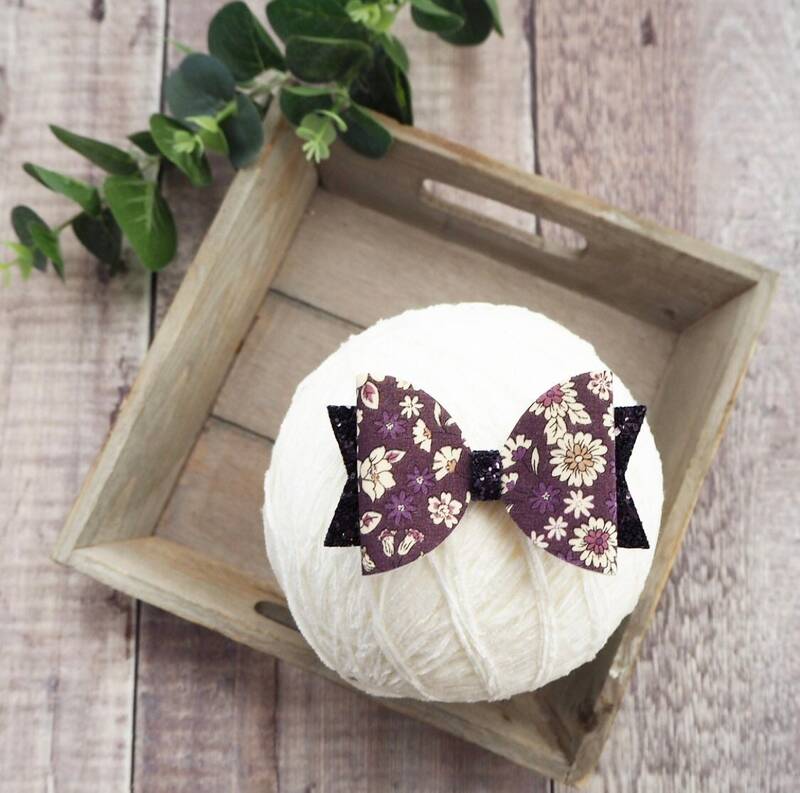 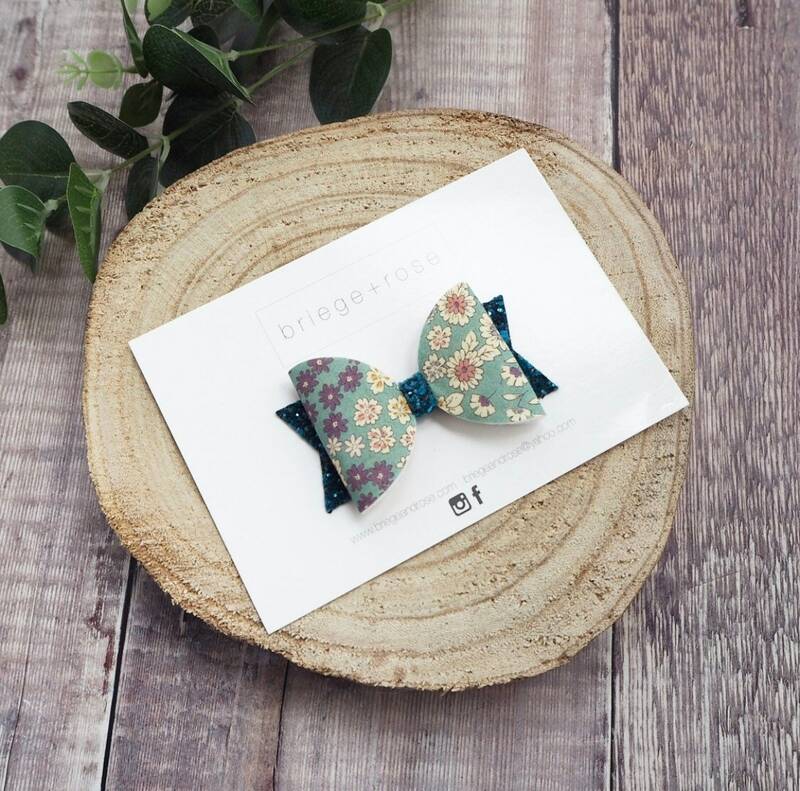 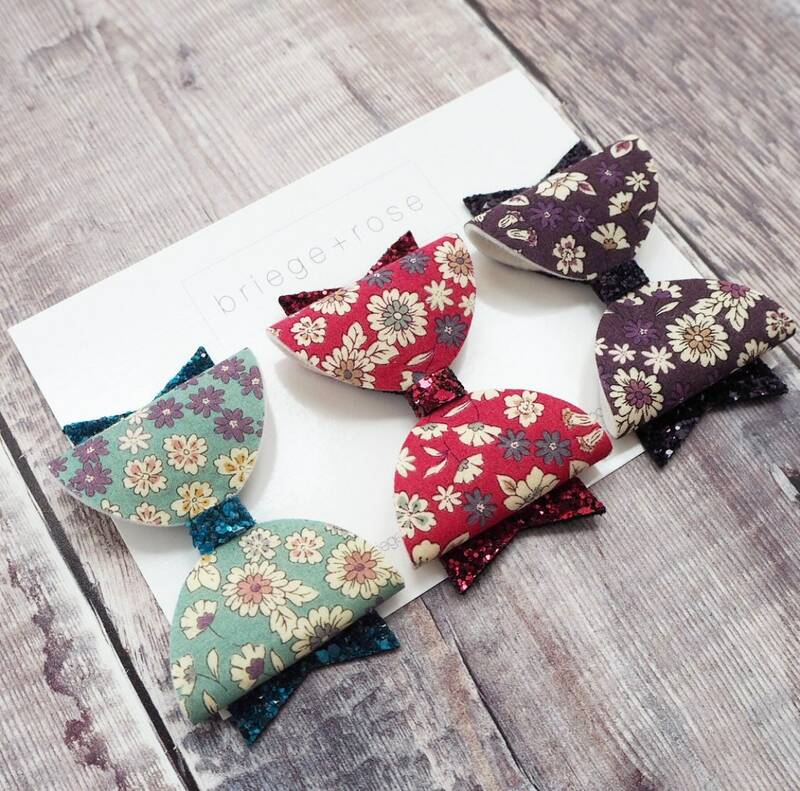 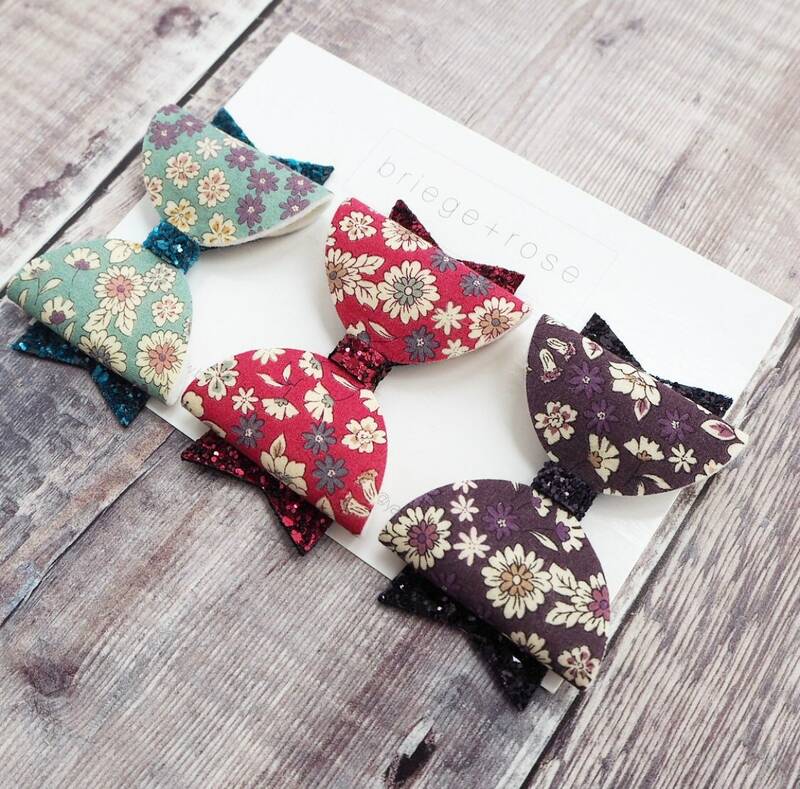 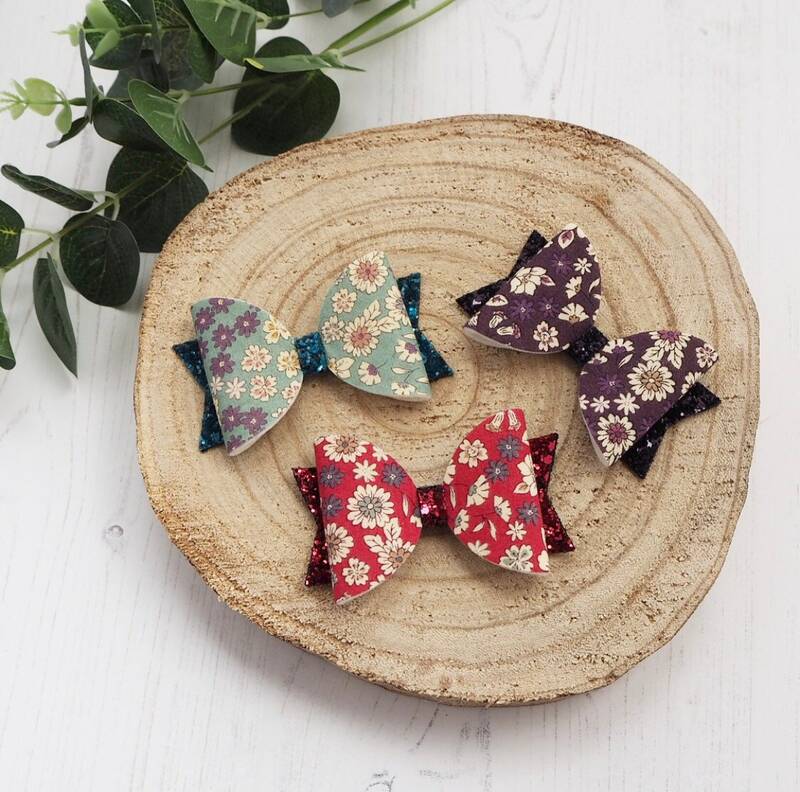 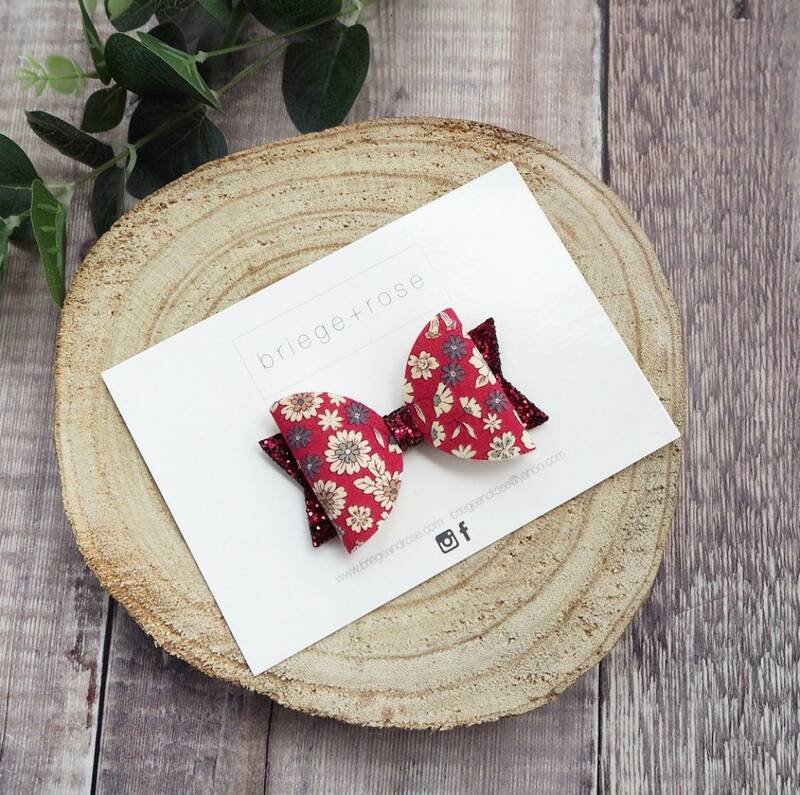 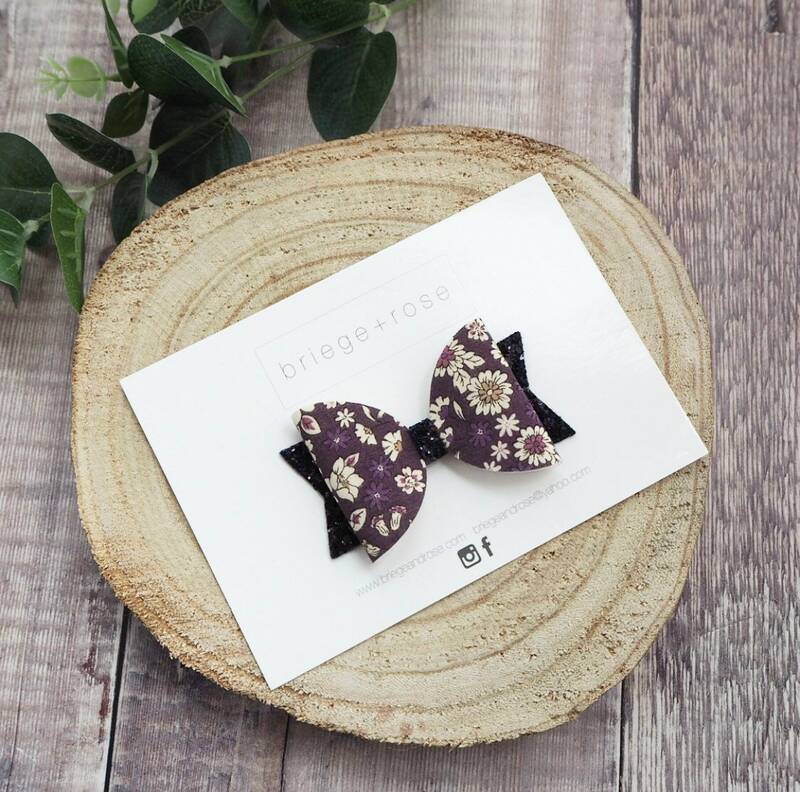 A beautiful trio of hair bows made from gorgeous autumn floral print cotton and finished with coordinating glitters. 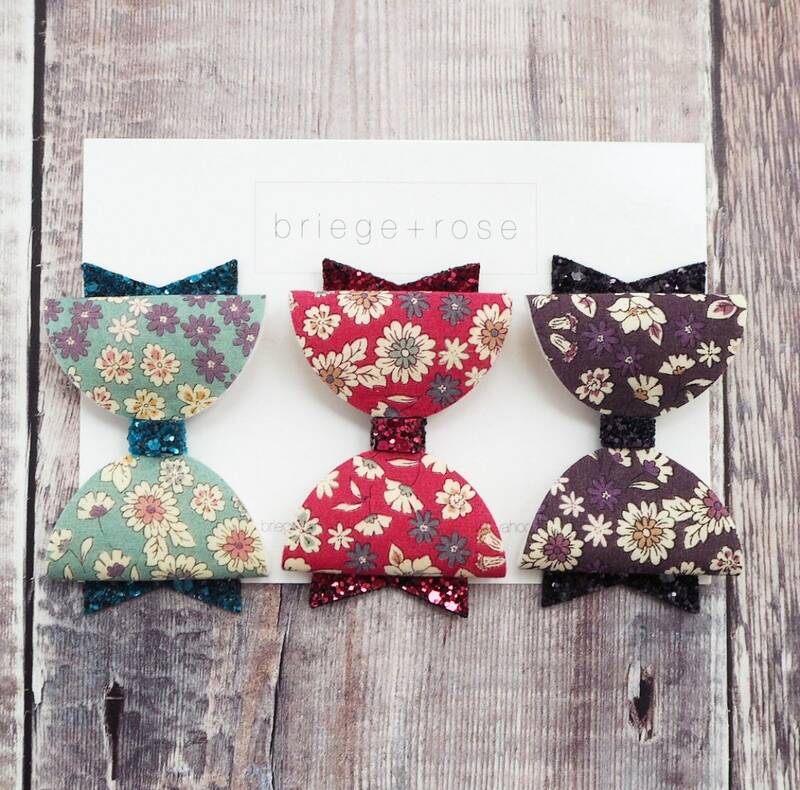 The three bows measure approx 3.35" each and come on clips or bands. 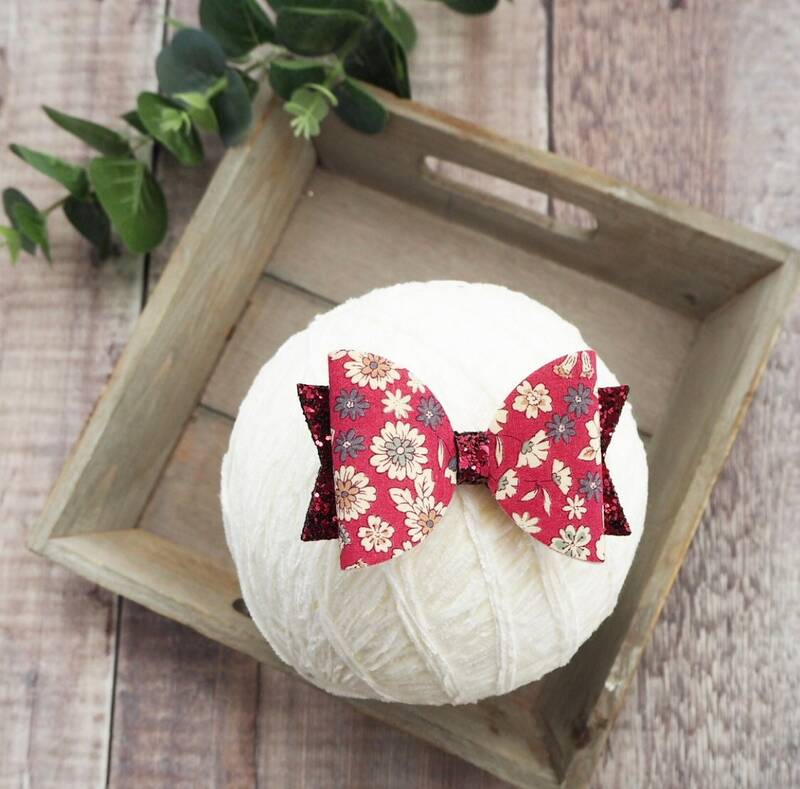 Makes an excellent gift for little girls.